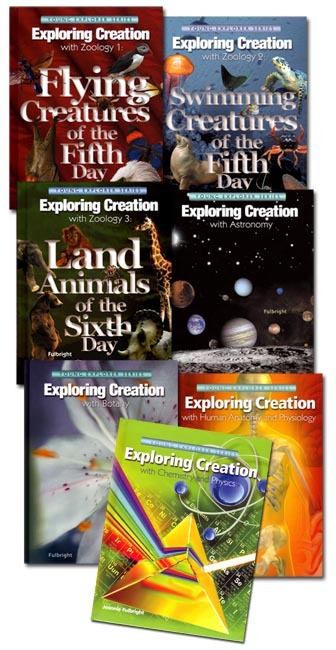 This series Set includes the following 7 quality hard cover textbooks: Exploring Creation with Zoology 1, Exploring Creation with Zoology 2, Exploring Creation with Zoology 3, Exploring Creation with Astronomy, Exploring Creation with Botany, Exploring Creation with Anatomy and Physiology, and Exploring Creation with Chemistry and Physics. Save$35.50 when you purchase the whole set! The combined set contains 1,660 pages chock-full of science material!